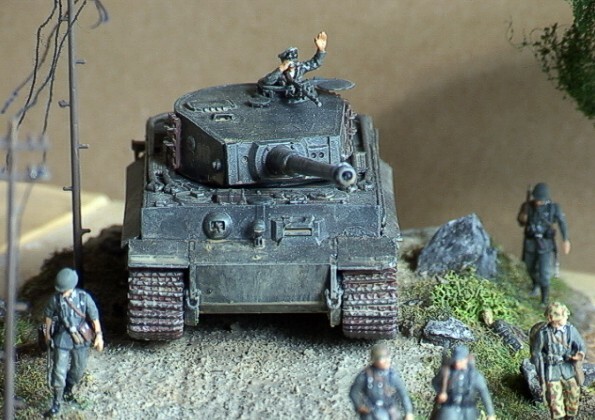 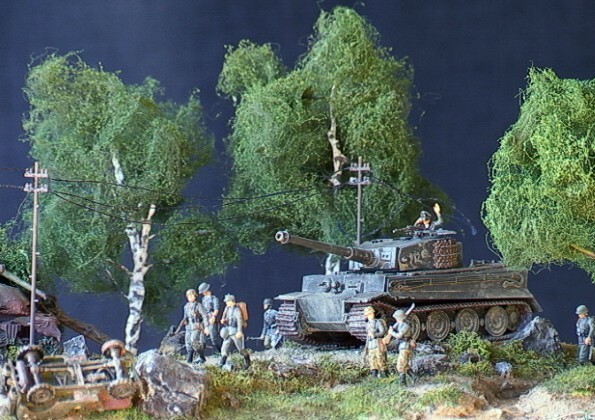 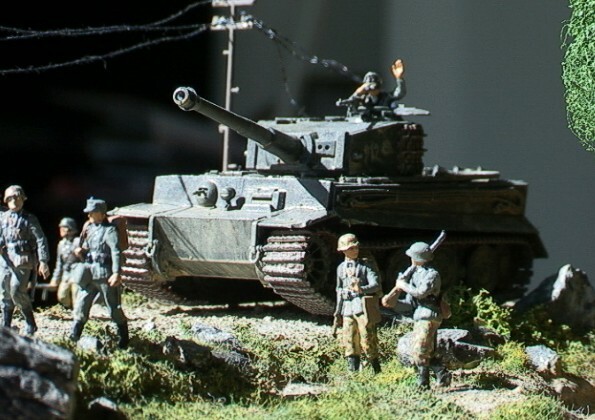 The tank is Revell Pz.Kpfw.VI Tiger. 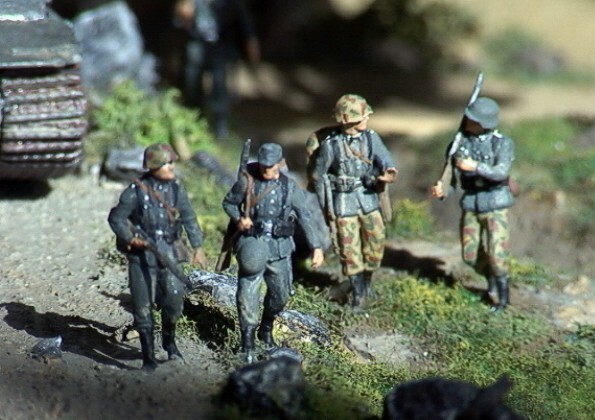 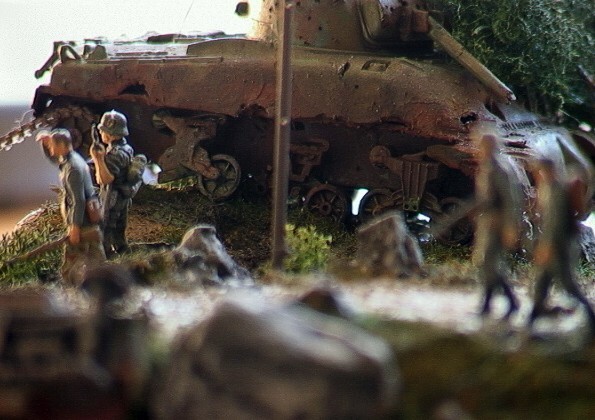 I bought the Preiser set "marching Germans", and just had to make a diorama around these great figures. 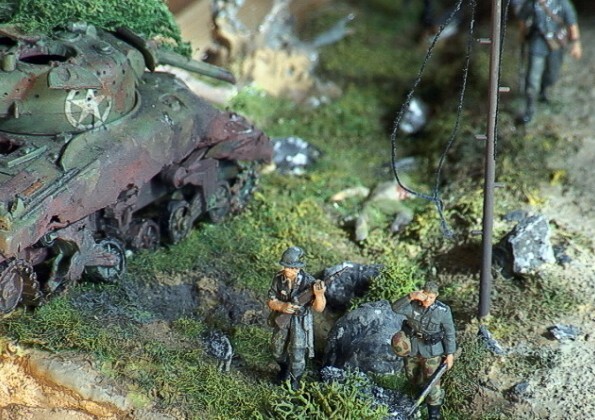 They've got terrific detail. 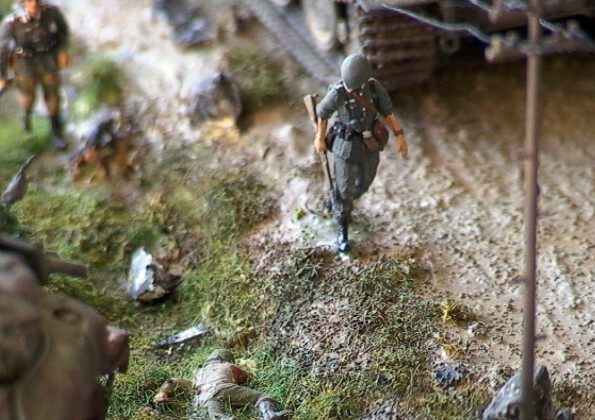 I added an Airfix DAK guy, and one of the back ones is Revell. 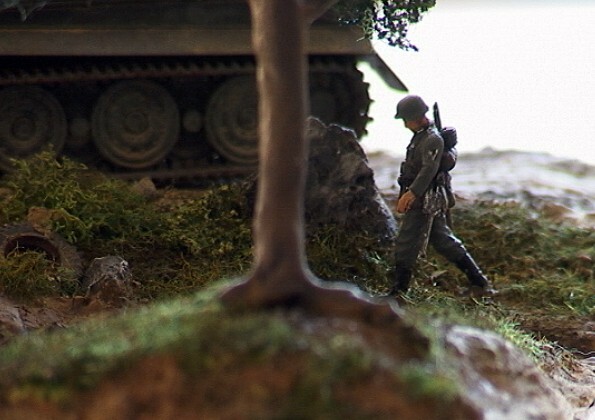 The uniforms and tank colors aren’t the correct ones, but I think it looks good this way..